At Barley Water Group, we are committed to using our experience and knowledge to ensure our customers are satisfied every time we drill a well or install a new pump. Our reputation is based on over 100 years of quality service and integrity. We have three locations in Texas: Canadian, Amarillo, and Etter. We will be happy to discuss your water well needs with you and to provide an initial estimate based on your requirements. Give us a call today at (806) 323-9413. Barley Water Group is committed to ensuring that our customers receive the highest quality water well service. These services include well drilling, submersible and turbine pump sales and maintenance, and well rehabilitation. At every stage of the process, we guarantee that we will use the best products and the most reliable techniques to ensure the best well or pump system every time. Whether we are drilling wells for farm irrigation or for servicing a house pump, our team of professionals will make sure that your needs are met perfectly. We are a water well drilling and service company. If you need a new well drilled or just need an existing well serviced, we can help! We have the equipment and personnel to provide you with the best service available. We provide turnkey water well services for the entire Northern Texas Panhandle, Western Oklahoma, the Oklahoma Panhandle, and Eastern New Mexico. We are licensed and fully insured. From our humble beginnings, we have grown into a water well company that runs 3 drilling rigs and 12 service rigs. We also have backhoes, ditchers, generators, and test pump engines to meet the needs of our growing customer base. Our growth has been the direct result of our commitment to service and quality over the years. We drill water wells from 5” to 12” in diameter. Based on a well’s application and how much water the customer wants the well to produce, we will size the well accordingly. We use the gravel types and drilling methods required to produce sand-free wells. For test hole drilling, it is our goal to determine the best placement of a water well on your property. We determine the best placement using an electronic logging machine combined with our knowledge and experience. Barley Water Group offers a full line of new submersible and turbine pumps for sale. We also repair pumps at our in-house machine shop, allowing us to provide a very fast turn around time. If your pump wears out, we know precisely how to repair it. Coupled with our full pump system design and evaluation, we have the ability to provide our customers with a reliable supply of water. We are happy to provide our customers with the most energy efficient systems on the market. We also provide water well rehabilitation services to our customers. We have the tools and technology to take care of rust, scale, and problems stemming from age-related deterioration. Many times, we can rehabilitate a water well so that it functions with the same cleanliness and efficiency as when it was first drilled. We offer generator rentals that are mounted on a trailer along with a fuel tank. 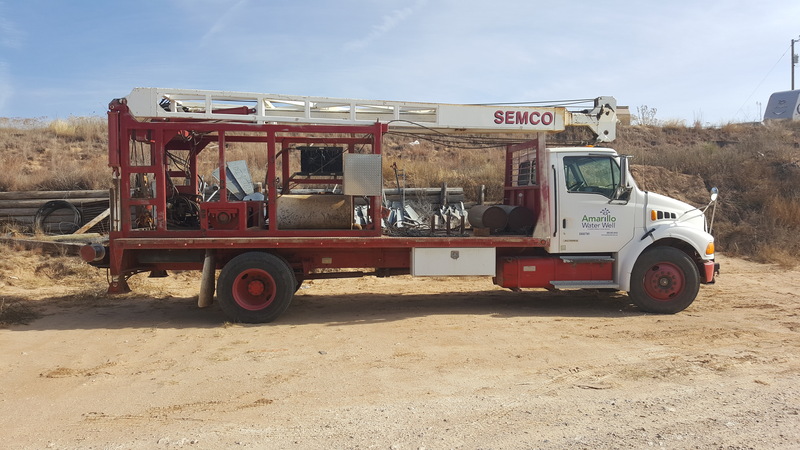 Typically, we rent these generators along with a submersible pump and poly pipe to provide a water supply for drilling rigs or to fill frac pits. The generators we have available for rent range in size from 25KW to 125KW. We offer trailer sales at our Canadian location. We have trailers available for a wide variety of applications. Contact us today to discuss your water well, generator, or trailer needs.